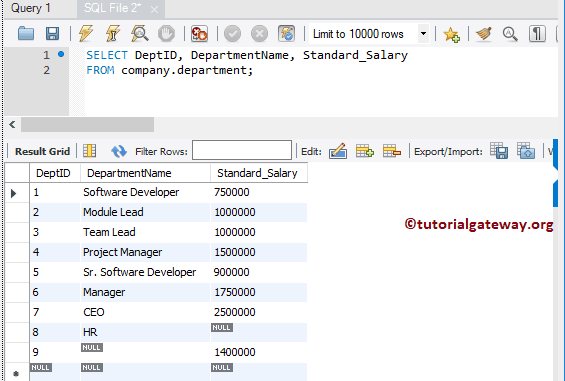 MySQL Inner Join is one of the Join Type which returns the records (or rows) present in both tables, If there is atleast one match between columns. Or, we can Simply say, MySQL Inner Join returns the rows (or records) present in both tables as long as the condition after the ON Keyword is TRUE. In MySQL, Inner join is the default join. So it is an optional for you to use INNER Keyword. Let us see the visual representation of the Inner join for better understanding. 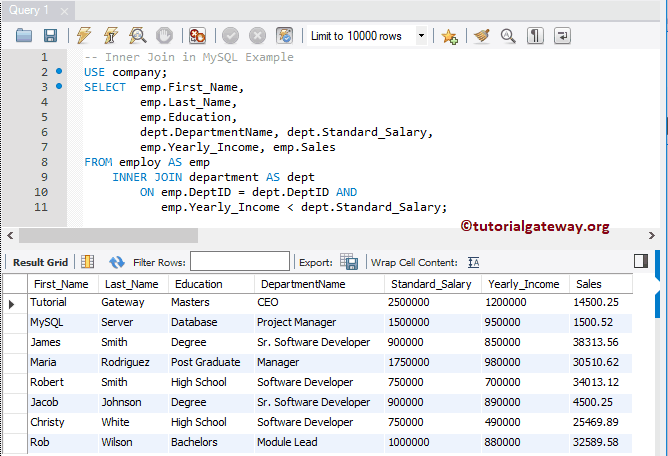 In this article we will show you, How to write MySQL Inner Join with example. For this, we are going to use Employ, and Department tables present in our company Database. The following are the list of ways that we can use this MySQL Inner Join to combine two tables, or get information (records) from two or more tables. If you observe the below screenshot, Although we had 15 records in employ table, Inner join is displaying 10 records. This is because, DeptID values for the remaining 5 records (i.e, EmpID number 4, 5, 9, 11, and 15) in employ table are NULLS. 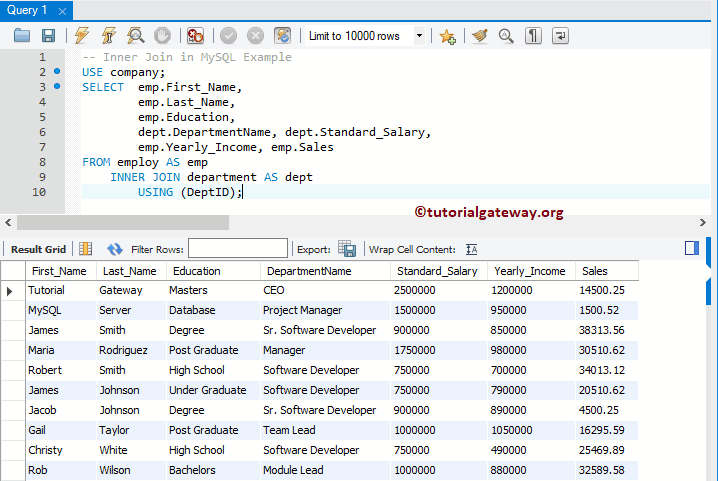 Above query will work perfectly as long as the column names from both tables (employ, and Department) are different like above. What happens if they had same column names in both the tables? Well, with the above specified approach, you will end up in a mess. Let us see how to resolve the issue. Let me show you one practical example. 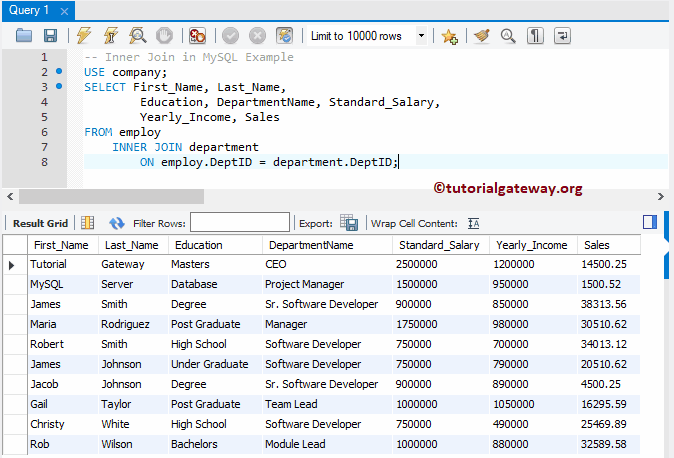 As you can see we are using the same query but we added DepID from department table as an additional column. You can see from the below screenshot, it is throwing an error : Ambiguous column DeptID. This is because, DeptID column is present in both the tables, and MySQL query don’t know which column you are asking it to display. To resolve these kind of issues you always have to use table name before the column name. 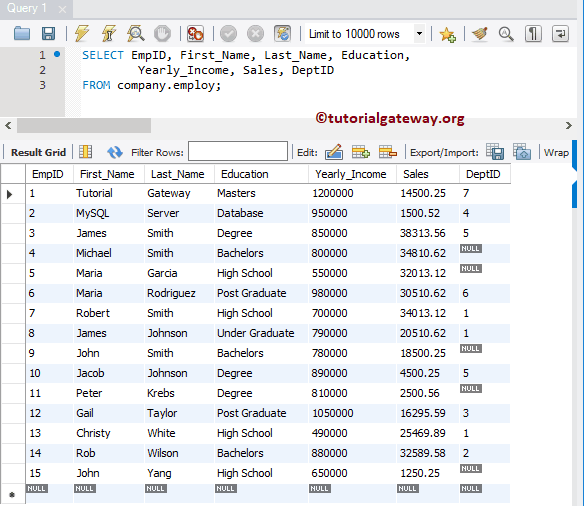 The following MySQL Inner Join query is using ALIAS table name before the column names. By this approach, we can inform the query that we are looking for DepID belonging to department table. 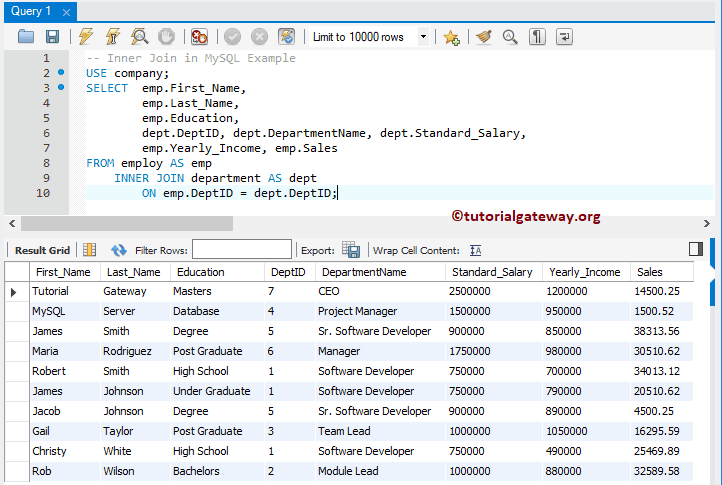 Up to now, we are always showing the = operator as the condition to join employ and department table. But you can replace = with < (less than), > (greater than), or not equal to operators. 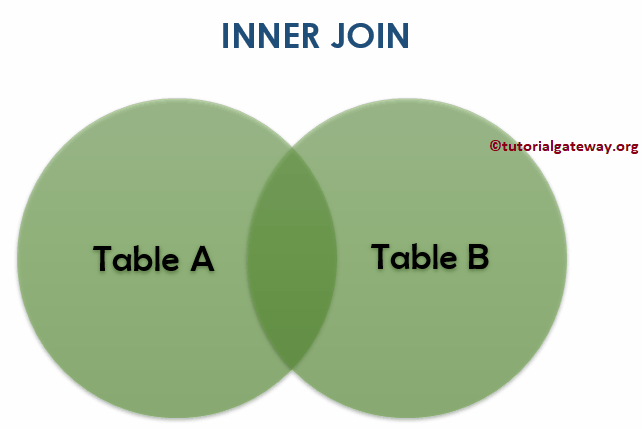 In this MySQL Inner Join example, we are using two condition to join those tables. First, DeptId should match, and Yearly Income should be less than standard salary. 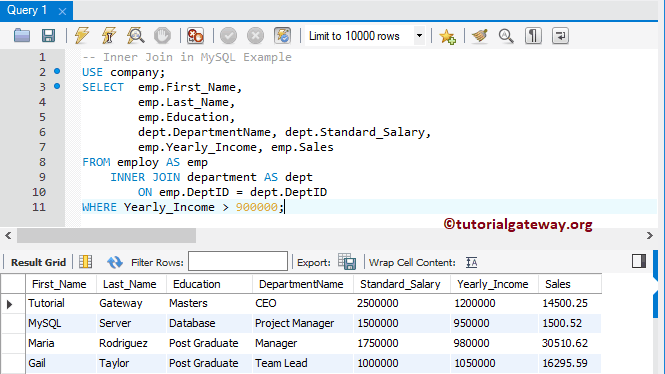 In this MySQL Inner Join where example, we will also show you, How to use Where clause (to apply filter) along with the Inner Join. I suggest you to refer MySQL Where Clause article. Let me show you, How to write MySQL Inner Join query using the command prompt. In this example we will also show you, How to use Order By clause along with the Inner Join. I suggest you to refer MySQL Order By article.